Note: Spoilers for both Grimgar and Re:Zero are aplenty. 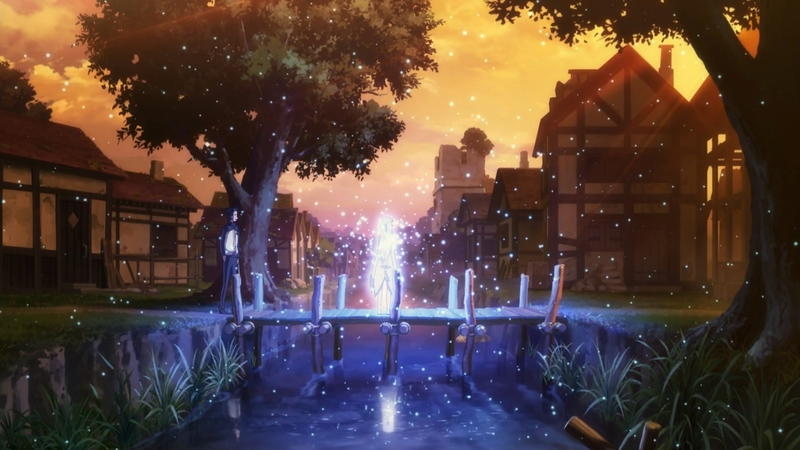 I appreciated Grimgar Of Fantasy and Ash after watching it to completion recently as a semi-marathon. For the most part, its character studies and the evident focus on atmosphere and a sense of place; rather than the much more often tread adventure fantasy with a clearly defined end goal of saving the world, has given the series a muted presence that ironically made its voice project louder amongst all the background noise. 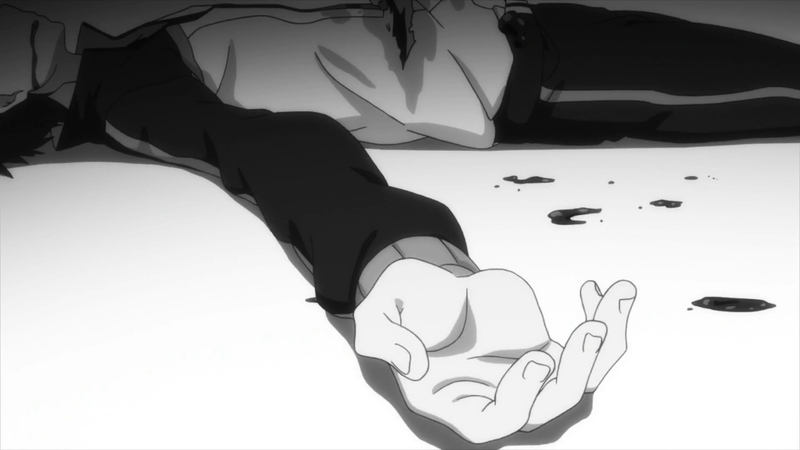 Similar things can be said about Re:Zero, now that it has finished its prolific rampage across the fandom’s collective stream of consciousness…though the reasons behind its highly resonant dual-season run were in complete contrast to Grimgar, as it projects its agenda of social commentary with unrelenting shamelessness and sincerity. In the end, while both series has no doubt invited significant viewership, and inevitable controversy on their respective handling of narrative delivery, I found myself once again standing right in the middle of the crossfire: appreciating what both shows have so admirably achieved, while also contemplating about their various failings. So Subaru got his wish: he got to cry in his favourite girl’s lap. If I was being honest, Emilia’s first introduction as Satella, her overly nice disposition and her seemingly blind belief in Subaru, had started to make me suspicious…I’m hoping that I’m wrong of course, but might as well put up shields while I still have the time. In terms of the narrative flow thus far, episodes 8 and 9 achieved strides in key story beats that helped progressed the plot in a steady pace, while also expanding the mythos of the world. Yeahhh…so a multitude of issues during the last few weeks kinda kept me from the keyboard again: a combination of family issues and a certain feeling of lack of inspiration, after I managed to churn out a ridiculously wannabe-scholar piece on Piano no Mori, and following that up with a ‘talking about life’ piece on Cowboy Bebop. I think I might’ve overspent myself a bit. So yeah, I’m back and this time, I’m tackling four episodes of Re:Zero. Trust me, the locations of episodes 4 to 7 may be stagnant, but somehow, the series kept it interesting, with episode 7 being its most consistently serious one yet. Despite the minor shakeups with pacing and logic jumps, Re:Zero still stands proud as a relative highlight of this season. Ahh…so this series is going for a fantasy adventure vibe. I kinda dig it! The plot-specific developments of the story thus far, has sold it as a journey-centric mystery, focusing on the historical intrigues of the characters and the fantastical power plays of this world. In this publication, I decided to focus a bit more on our main character Subaru, since I find his balance of genre-savviness and lack of good fortune (getting killed twice by one crazy woman? The ultimate friend zone) really interesting on a characterisation level. Slowly easing my way back, here’s another one I’ve written for UnimeTV. 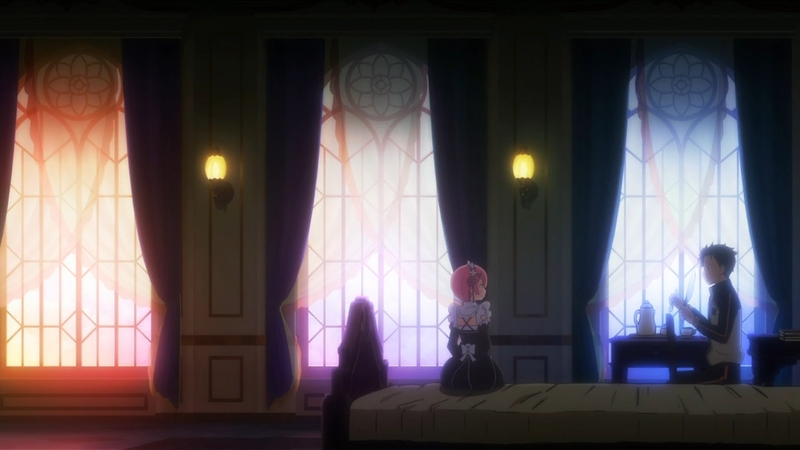 Wanting to add some more flare into my blogging life, I decided to take upon the obligation of trying out a biweekly review schedule for the Spring 2016 anime series Re:Zero. Without skimping on quality and the level of detail I dictate myself upon, I now have a baby that I really DO need to nurture constantly. Or the bossmen will kill me. 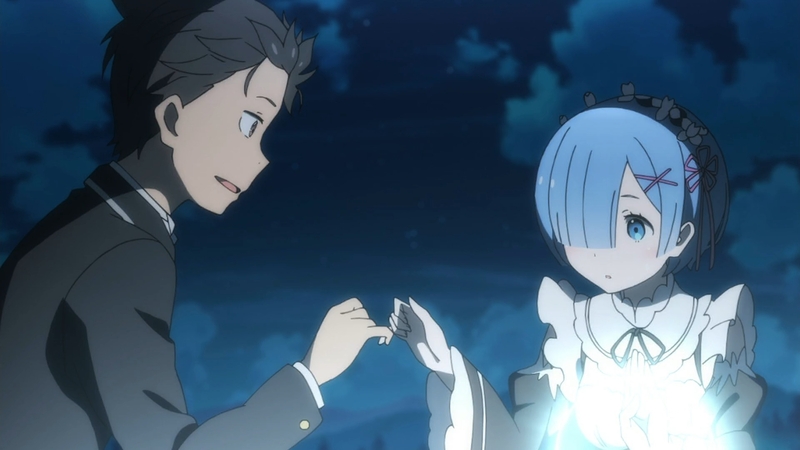 Anyways, I had a blast analysing the first Re:Zero, episode: plenty of underhanded self-awareness, subtle world building and the usual hair-raising ending hooks that begs one to want more (or…turn away in disgust, with their eyes rolling towards the back of their skulls). Needless to say, I recommend fantasy lovers to give it a shot, might be fun. This post acts as an accompaniment to my analysis of the second season of Is the order a rabbit? 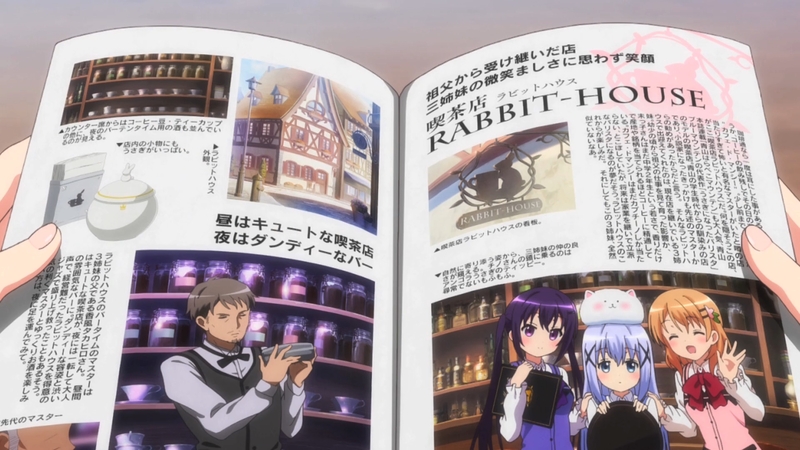 | Gochuumon wa Usagi Desu ka?. However, this capsule review deals with both seasons simultaneously. If you have a) any knowledge of moe and slice of life, b) a love for moe and slice of life, c) an intense hatred for moe and slice of life, or d) read enough of my posts to notice a common pattern in subject matters, then you would be aware of the basic recipe for success of such shows: the construction of a world that’s charming and relaxing, and a cast of characters who are teeth-rottingly adorable.